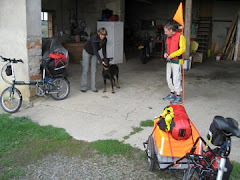 Cycling in Europe: A new source of campsites? A new source of campsites? If like us you prefer quiet small campgrounds, it's worthwhile casting an eye on www.campinmygarden.com. The website aims to link house and garden owners with campers seeking a micro camp site. At the moment only the UK in Europe is well covered, but give the site time.